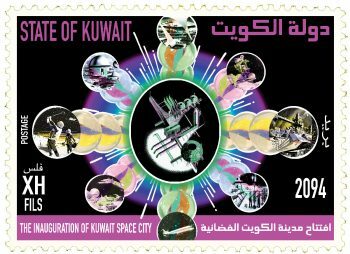 ” In 1958, Kuwait also held its first pan-Arab art exhibition, which tackled themes such as colonialism and underdevelopment. Kuwait today hosts a successful art museum that also doesn’t shy away from relevant political themes. The country’s first art gallery was inaugurated in 1969 with a joint show of Munira al-Kazi (ndr . also may be written Al Qadi or Al Kadi) and Issam al-Said, two leading artists from Kuwait and Iraq respectively. The Sultan Gallery went on to host the likes of Andy Warhol and Syria’s Fateh Moudaress. Abdallah al-Qassar, one of Kuwait’s leading landscape and portrait artists started exhibiting as early as the late 1950s and won awards in Egypt, where he studied the early 1960s. 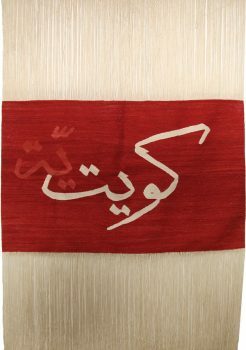 Qassar’s pioneering peers included surrealist Mohamed al-Shaibani who critiqued elements of development of the Gulf and acclaimed sculptor Sami Mohammed who was a founding member of the Kuwaiti Association for Plastic Arts in 1967. 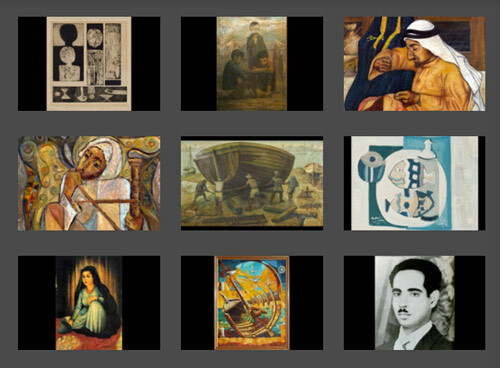 The earliest recognized visual artist in Kuwait and most probably the Gulf region to have studied art was Mojib al-Dosari who was orphaned as a child before living with his uncle in Basra. Dosari became the first Kuwaiti to study visual arts in Egypt and continued his studies in London. 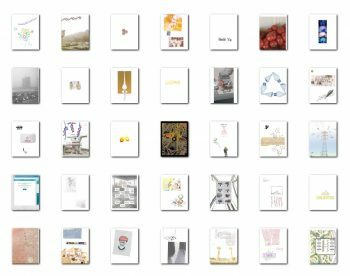 Born in 1922, Dosari advocated for visual arts in Kuwait through writing in Al Bi’tha magazine that was targeted at Kuwaiti students abroad. Sadly, Dosari died at 34, after only two years of teaching in Kuwait. Only 13 of his works of art are known to have survived. Sami Mohamed, the pioneering Kuwaiti sculptor, told me the tradition of drawing in Kuwait and the Gulf goes back over a century when dhow builders would employ an artist to sketch a ship using charcoal before it was built. These images were almost never preserved and the earliest one he saw dated back to before the discovery of oil in Kuwait in the 1930s. The same process was also employed when building houses, especially for merchants with the intricate Gulf style of architecture. Excellent article! Bravo Sheikh Sultan for correcting these misconceptions.